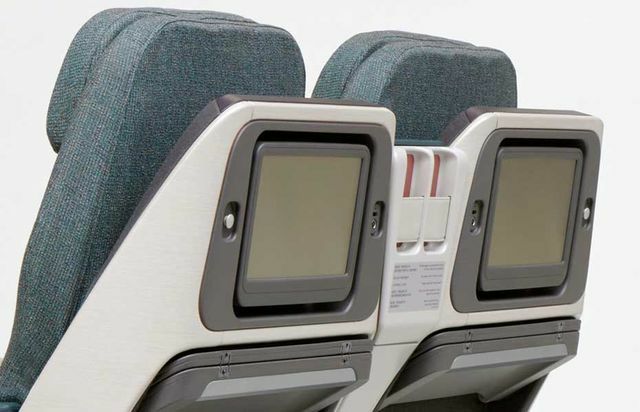 Cathay Pacific's new regional business class takes to the skies this week, with the first flights scheduled for tomorrow, Tuesday January 29 and headed for Beijing. "The first aircraft with new regional business class seats will enter into service on 29 January" says Cathay Pacific spokeswoman Agnes Yeung. "There is no preset deployment plan on where the aircraft will fly to, (but) according to our current rotation plan, the first flight will go to Beijing" Yeung told Australian Business Traveller, with Singapore, Tokyo and Osaka expected to follow. 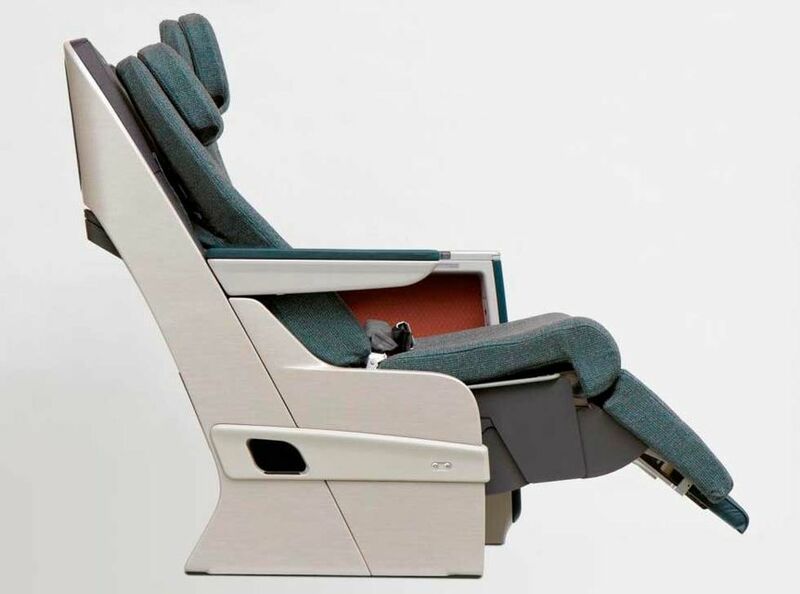 Cathay Pacific is gearing up for a super-fast rollout of the new seat, which will be retrofitted across Cathay’s regional Boeing 777 and Airbus A330 fleet. “There’s just under a two-year roll out program, completing in late 2014” Toby Smith, Cathay’s General Manager, Product, tells Australian Business Traveller. The refit of the Boeing 777s will take priority throughout 2013, with the focus shifting to upgrading the Airbus A330s towards the tail end of the year, Smith says. This will be followed in 2014 by delivery of new Airbus A330s with the seats factory-installed. 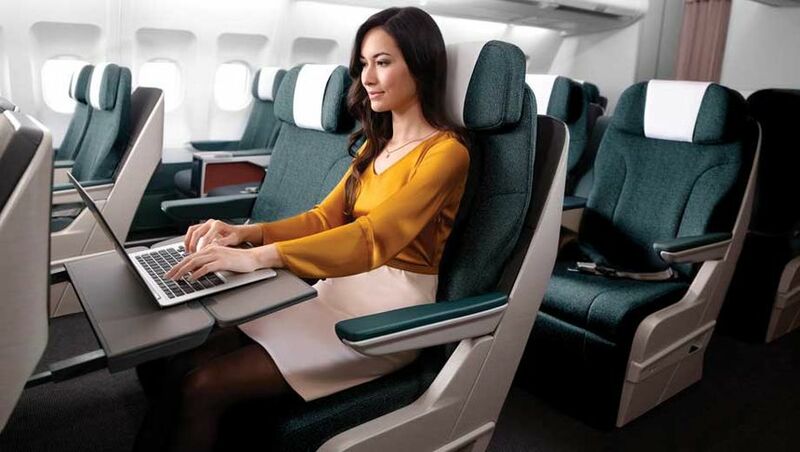 The seat, which we profiled on its launch in Hong Kong last year, represents a new approach to regional business class. Its hybrid design borrows some elements from an angled lie-flat or ‘sloping sleeper’ seat and weaves them into the more conventional form of a recliner. The seat has also been adopted by Dragonair for its new business class. In fact, Smith says that feedback from passengers was that a lie-flat bed was not a priority for regional business class. 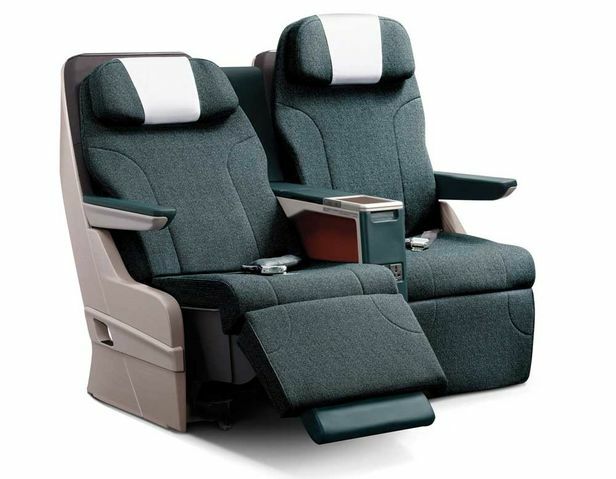 The Recarro Comfort Line 5510 seat chosen by and customised for Cathay Pacific certainly ticks all those boxes. 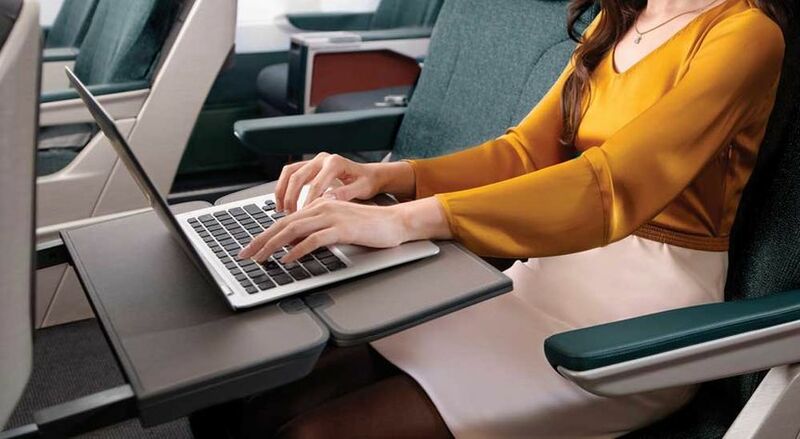 The fixed shell design protects your space from the recline of the passenger in front, with a moulded shell providing 45-47” of pitch or for keeping your laptop bag handy during the flight. 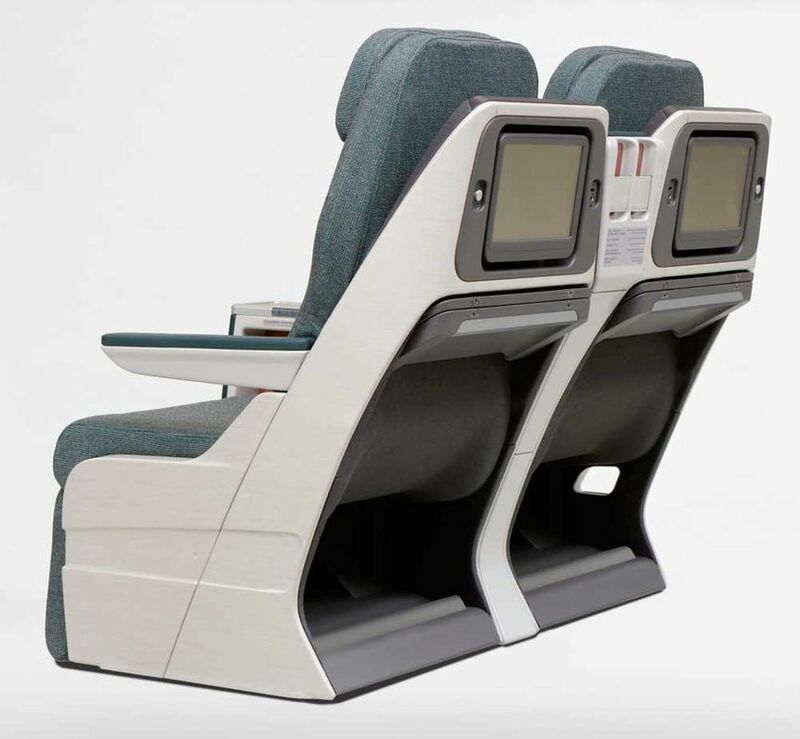 The fold-down tray table is quite wide (at just over 20 inches) and deep (14.5 inches), with a CX premium economy-style cocktail table for both passengers in the centre armrest. Adjacent to the 12.1 inch video screen is a USB port to keep your travel tech charged up plus a multi-pin video plug which can pipe video from your iPhone or iPod onto the seatback screen. 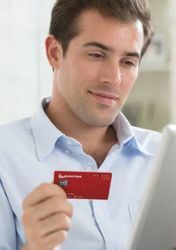 Every passenger also gets their own laptop power supply courtesy of a universal AC port. The seat itself swings into uber-relaxation ‘lazy-Z’ mode by combining the 36 degree recline with the extendable legrest’s 60 degree upswing, with both settings able to be fine-tuned using independent electronic controls. At 21” wide from edge to edge of the cushion, with a little extra wiggle-room under each armrest, travellers shouldn’t feel squashed on even the longest short-haul trek. For the latest news on all things business class, focussed on the needs of Australian business travellers, follow us on Twitter: we're @AusBT. pity Qantas didn't think about its passengers when it redesigned its domestic business class seats. Instead of increased space and comfort they went for reduced comfort (less recline, worthless leg rest/foot rest) and space (down to 37"). 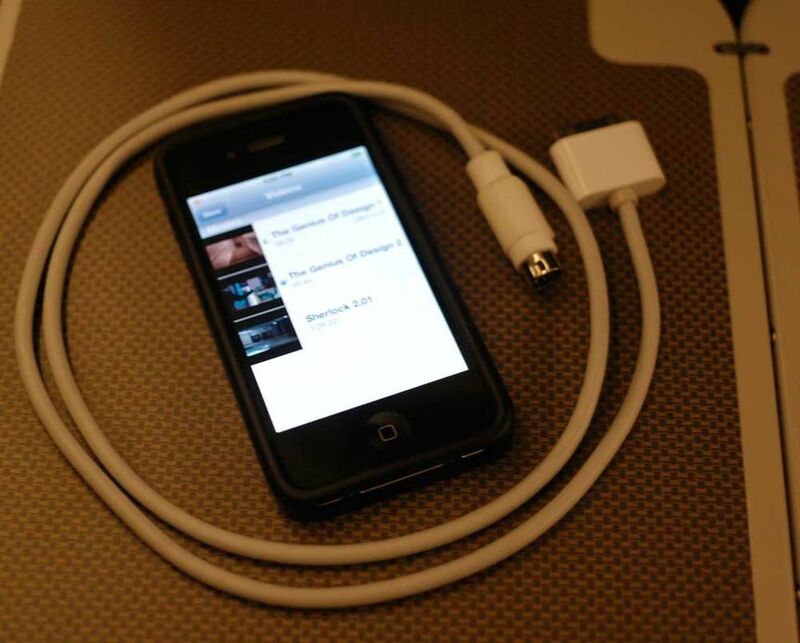 Note also that the ipod/iphone link is analogue, which wont work with the new ithingy ports, so a very stupid choice. 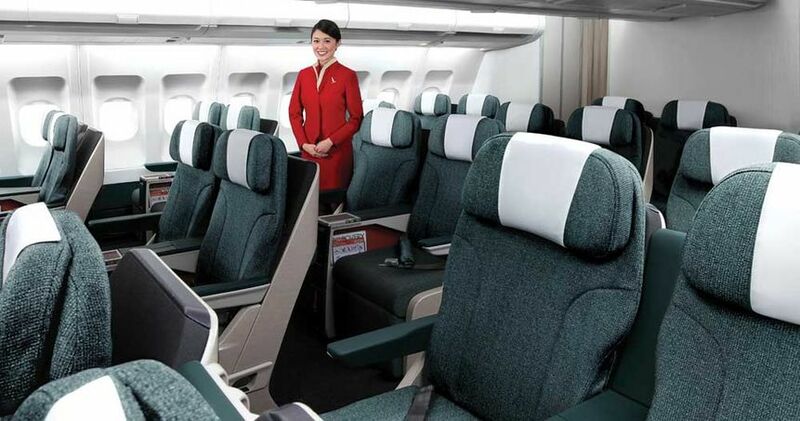 Comment on "Cathay Pacific debuts new regional business class this week"